Plazma therapy PRF of periodontitis – Dental Clinic "FREEDENTS"
In the dental Center “FREEDENTS” is recognized worldwide plasma technique, i.e. 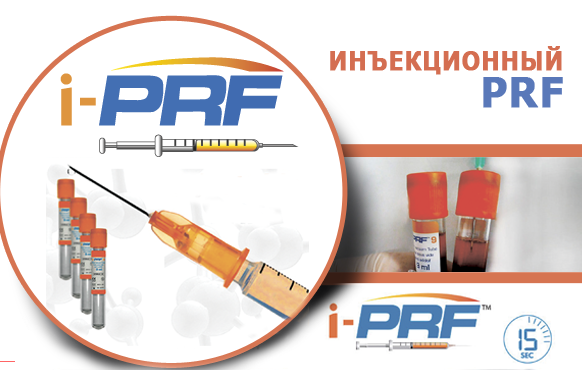 use human plasma rich in growth factors/using modern apparatus PRF DUO (Platelet Rich Fibrin) we prepare the plasma of a patient from his own blood by “I-PRF” (I-injectable fibrin enriched platelet) or “PRF” (a fibrin enriched platelet high density, i.e. “PRF” clots). Ready autoplazma is injected into tissue to relieve inflammatory processes, to run, to enhance bone regeneration, thus increasing locally immunity. 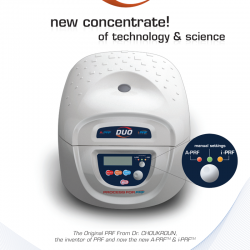 Immediately after the introduction there is stimulation of plasma cells growth, improves blood flow and tissue respiration, stimulates metabolic processes in the introduction of plasma, gradual germination of new capillaries, formed by collagen and bone consolidation occurs, decreasing inflammatory process. method A-PRF is the introduction of thrombocyte autoplasma in tissues in the form of membranes (i.e. in the hole of a remote tooth, when you close the recessions in the hole when implantation, sinus lift operation, etc.) method I-PRF-this in’ekcionnyj method local introduction of thrombocyte autoplasma in periodontal tissue with gingivitis, periodontitis, also used in surgical Stomatology with bone grafting, sinus lift operation. When the plasma must be applied:-gingivitis-periodontitis-prevention of periodontal disease-bleeding-tooth mobility-bad breath-accelerate tissue repair in patients with diabetes mellitus. But the method there are contra-indications:-malignant neoplasms-systemic blood diseases-mental illness. What happens after the procedure:-disappears bleeding reduces the mobility of teeth-pain is reduced inflammation in periodontal tissues-leaves bad breath-metabolic processes in tissues improves local immunity of the oral cavity are reinforced by metabolic processes-normalized hemodynamics-accelerates healing of holes after tooth extraction, improves prizhivljaemost’ implants, etc. On the eve before the procedure, you cannot take antibiotics, alcohol, fatty and fried foods, eliminate stress and have a good night’s sleep is needed (to improve the quality of the blood). 1. Carried out blood from the vein of a patient in a special tube, which immediately placed in a centrifuge. 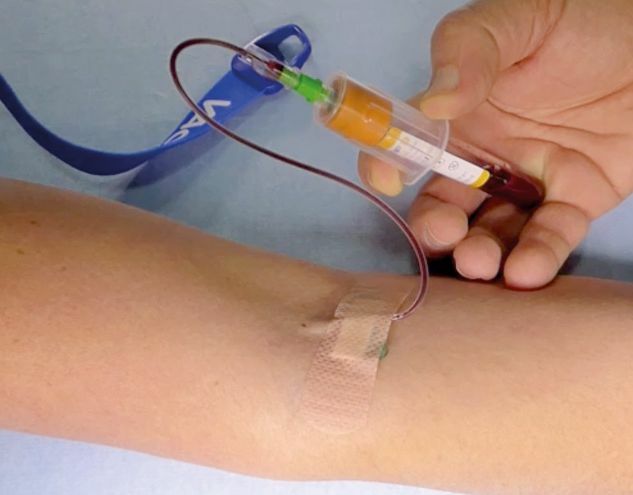 There for a few minutes comes padded plasma from other components of blood plasma and the saturation of the growth factors, without adding any chemical components. As a result, we get finished autoplazmu the patient’s own blood platelet. 2. Then hold the autoplasma injection sites and tissues. The procedure is virtually painless, but sometimes you may need pain relief, because it all depends on the individual patient’s sensitivity threshold. In time, from the taking of blood and until the end of the procedure takes approximately 30 minutes. The first 12:00 am may feel discomfort in the introduction of plasma. Visible results can be seen only after 7-10 days minimum, because the process of germination of new vessels is not quick. Plazmoterapija for the treatment of periodontitis is held (3-6 sessions and sessions strictly individually, depends on the severity of the process). Break between sessions of 7-10 days. Plazmoterapija carried out necessarily as part of a comprehensive treatment of periodontitis and in combination with Prof. oral hygiene, thorough individual oral care patient (optional use for cleansing tooth brushes interdental, flosy, irrigator, etc.). If necessary, a treatment plan can be added to apply medication as locally (antiseptieskie rinse, medicated toothpaste, application of special gels, etc.) and inside (antimicrobials, vitamins, imunomoduljatory, etc.). The number of plasma-based sessions strictly individually and depends on the severity of the inflammatory process.